JENNIFER GUERRA: I want to introduce you to a young mom, her name is Angela. She’s 21 years old. 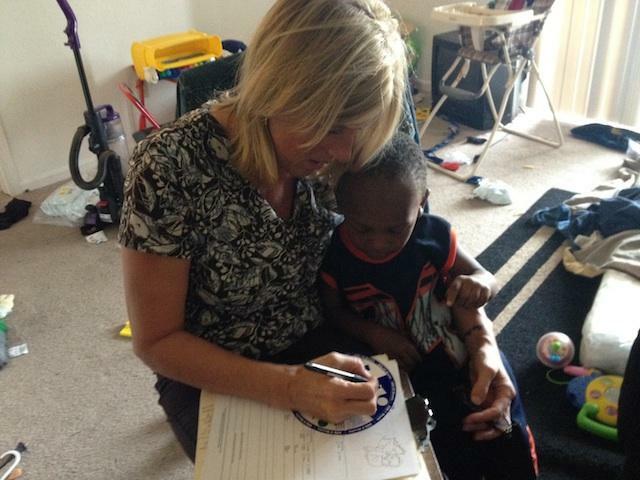 She lives with her son in a two bedroom, section eight apartment, just outside Detroit in Highland Park. ANGELA: I have one kid and one on the way. Want me to say his name? His name is Darrion, he’s three years old. JG: Darrion has a crazy amount of energy. He likes to bounce around his two-bedroom apartment like the springiest frog you’ve ever seen. He’s also a very big fan of toy cars. And soon, his mom tells me, Darrion is going to be a big brother. In our final segment of State of Opportunity, Jennifer Guerra looks at what's being done today to help ensure that all children have an equal shot at celebrating their first birth - no matter where they live, what color their skin is, or how much money their parents have in the bank. State of Opportunity reporter Jennifer Guerra tagged along with Jenny Hall on a home visit to see a client of hers who lives near Flint. In part two of our State of Opportunity documentary on infant mortality and disparities, we ask the question: Why are black babies two and a half times more likely to die before they turn one than white babies? Two of the leading causes of infant mortality are babies that are born too soon or too small, and a disproportionate amount of those babies are African American. 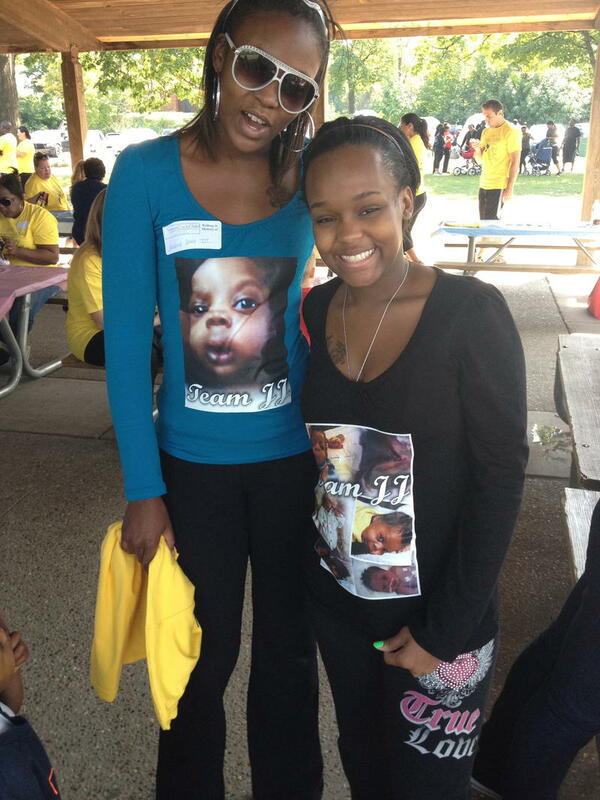 We talked previously about Chantania Smith and her struggle with losing a child. 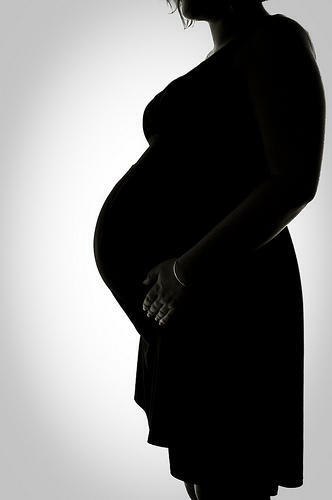 Six months into her pregnancy, Smith’s doctors discovered she had a short cervix, which is a major cause of preterm birth and a leading indicator for infant mortality. When she went into labor a month and a half later, the umbilical cord prolapsed and came out first, and Smith was rushed to the hospital for an emergency C-section. On January 14, 2010, she gave birth to a little baby boy named Jerome – JJ for short. 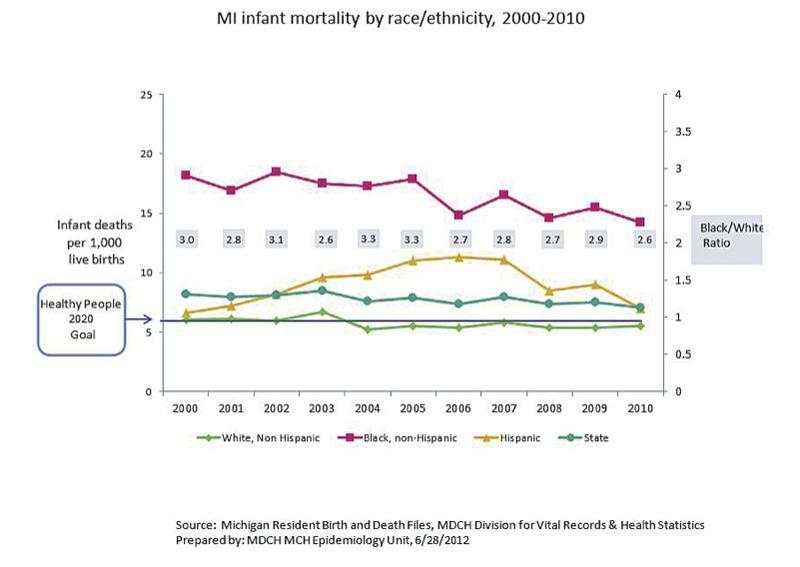 Infant mortality rates in Michigan are better than they used to be, but still not good enough. 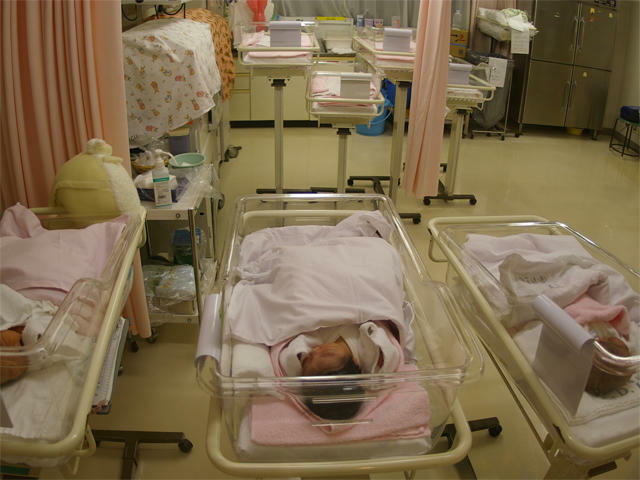 Seven out of every 1,000 babies born in Michigan will die before their first birthday. This isn't a statistic the state is proud of, and lately there's been a lot of effort put into lowering this number. No one wants to lose their child at a young age. But in Michigan, it’s a reality too many parents face. Michigan's infant mortality rate has persistently been higher than the national rate for two decades. 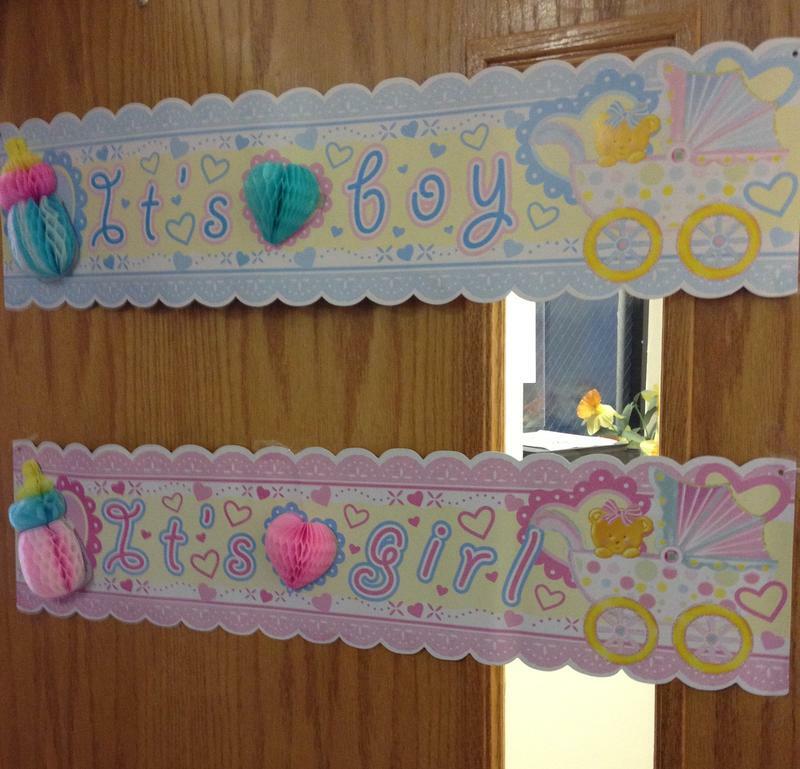 For every 1,000 babies born in Michigan, roughly seven won't make it to their first birthday. Break it down by race, and the numbers are even more disturbing. Tomorrow, State of Opportunity's Jennifer Guerra will report on Michigan's infant mortality rate. The one-hour documentary will air Tuesday, Oct. 9 at 3 p.m. and 10 p.m. on Michigan Radio. 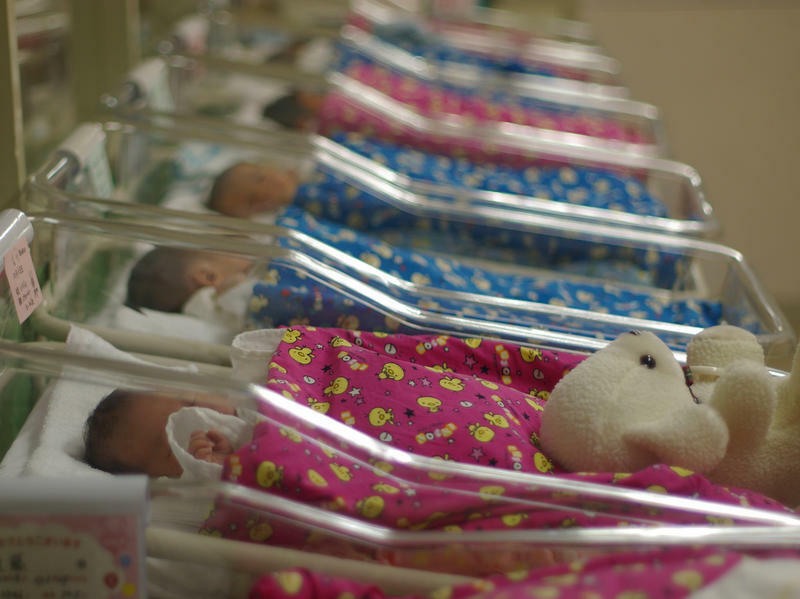 During the documentary, Guerra will interview many public health workers and researchers who will offer their hypotheses on why racial disparities exist in infant mortality rates. Here's a list of some of the top arguments. Racial inequality shows up in just about every possible measure of opportunity you can think of - in schools, neighborhoods, employment numbers, incarceration rates and even health. Perhaps the most disturbing racial disparity, though, happens right at birth.